Embryonal brain tumors account for 20–25% of all brain neoplasms in children and represent the second most frequent group of pediatric brain tumors. Embryonal tumors include medulloblastoma, atypical teratoid/rhabdoid tumor and supratentorial primitive neuroectodermal tumor. These tumors are highly malignant and there is a significant long-term treatment related morbidity. Various biologic parameters have been related to outcome. Cyclins are a group of proteins which are periodically synthesized and degraded during the cell cycle. They affect progression in the cell cycle through activation of cyclin–dependent kinases forming heterodimers. 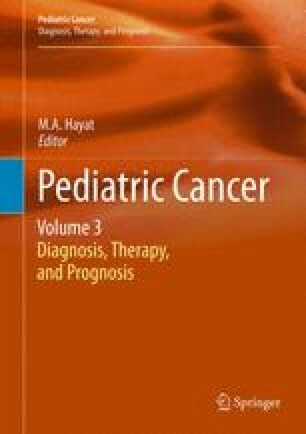 This review focus on the prognostic role of the mytotic cyclins, namely cyclins A and B1, in pediatric embryonal tumors. Based on recent evidence there is a significant expression of cyclin A and cyclin B1 in embryonal tumors, whereas the expression patterns of these cyclins correlate with patient’s prognosis.